Velisa Africa is fast becoming recognized as a trusted partner in the Data Management and Analytics space. The Velisa Africa model is to partner with experts in the industry, in order to provide customers with the services they need. Although product agnostic in delivering the development solutions that best suit customer needs, Velisa Africa’s partnership with Infobuild (a leading solutions provider for Enterprise Business Intelligence and Analytics platforms) has created unparalleled opportunities for organisations to secure particular segments of Data Management, BI or Analytics work to be undertaken on-site in a professional, confidential and customized environment. Velisa Africa’s core business has always been as an accredited training provider within the ICT sector, where they provide a variety of vendor specific skills training and comprehensive Youth Development training initiatives for the Data Analytics, Business Analysis, Software development and Data Centre environment. However, not only has Data Management and Data Analytics training become increasingly sought after, as the need for good Business Intelligence increases, but also the need for professional services within that space has increased exponentially and Velisa Africa is in the perfect position to leverage the expertise of professionals operating in the industry. 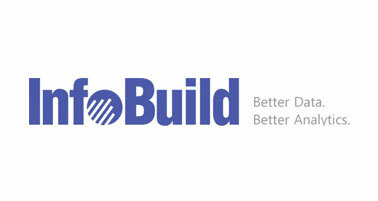 The partnership with Infobuild has now made it possible to offer best of breed solutions and services to our valued customers. Bringing Smart Data Management to you! The Infobuild “One Platform Solution” is totally modular and has by far the widest integration reach. This makes the Application so easy to use. This means that as a Business, you will be able to Integrate your Data, Validate and Analyse your Data. And run various reports that will provide sound Business Intelligence to improve your different Business streams. Infobuild’s Data Management Tool, combined with Velisa Africa’s Data Analytics Training will change the future of your Business. Analytics and Reporting for ALL USER CATEGORIES! What do the Markets say? Email us at info@velisaafrica.co.za or Contact Us for more information on this World Class product.